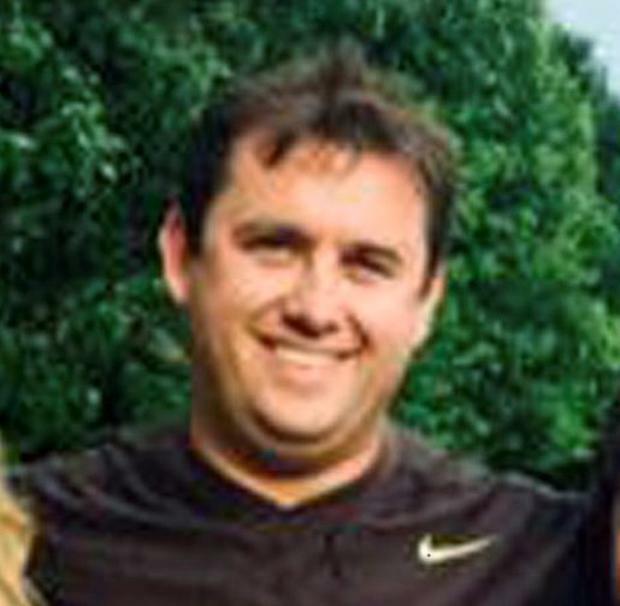 THE proceeds from a book on murdered Irish businessman Jason Corbett (39) are to go to his children. 'My Brother Jason' has been written by the Limerick executive's sister, Tracey Corbett-Lynch, who fearlessly spearheaded the 'Justice for Jason' campaign for two years. With her husband, David, she is now raising Mr Corbett's two children, Jack and Sarah, who were left orphaned by his murder in North Carolina in the United States on August 2 2015. Mr Corbett was beaten to death with a metal baseball bat and a heavy concrete paving brick by his second wife, Molly Martens (35), and her father, retired FBI agent Tom Martens (67). The father and daughter had claimed they acted in self defence - but a North Carolina jury unanimously rejected their version of events after it emerged they were totally uninjured at the scene despite the horrific wounds inflicted on Mr Corbett in the bedroom of his luxury Panther Creek Court home. Mr Corbett's skull was so badly crushed the precise number of blows he suffered could not be counted by a pathologist. Traces of a sedative prescribed to Molly Martens were also found in his system. Prosecutors believe Mr Corbett was asleep in bed when he was attacked. The father of two had repeatedly refused to sign adoption papers for Jack and Sarah in favour of his second wife. His first wife died aged just 30 years from a tragic asthma attack. Both the father and daughter were convicted of Mr Corbett's second degree murder following a high-profile murder trial in Davidson County last summer. The duo are now serving sentences of between 20 and 25 years in North Carolina prisons. Mrs Corbett Lynch decided to write the book as a tribute to her late brother and to dispel what were termed "the outrageous lies and falsehoods" told about him in the run-up to the trial by Molly and Tom. The Limerick woman has described what her late brother was subjected to, particularly over social media, as "a hate campaign." Mrs Corbett Lynch said she wanted the book to portray the kind, loving, generous and loyal person her brother was. 'My Brother Jason', which is published by Gill Books, will be released on May 18. Mrs Corbett Lynch is expected to appear on RTE's 'The Late Late Show' to talk about the killing and the murder trial that shocked both Ireland and the US. Excepts of the book will be serialised in The Irish Independent next month. The book features the involvement and support of her sister, Marilyn, her brother, Wayne, husband David, her parents, as well as Mr Corbett's wide circle of friends in both Limerick and the US. Interviews were conducted with Mr Corbett's North Carolina neighbours, his former Multi Packing Solutions (MPS) workmates, volunteers with the 'Justice for Jason' campaign and the family of his late first wife, Margaret 'Mags' Fitzpatrick. It also has full details of emails, letters and financial documents between Mr Corbett and Molly Martens. However, four of Mr Corbett's brothers have now objected to the use of a photo of Molly Martens on the front cover of the book. John, Mike, Stephen and Christy Corbett wrote to 'The Limerick Post', to object to the inclusion of Molly Martens' photo. John, Mike and Christy had asked not to be involved with the writing of the book. "We feel placing a picture of the incarcerated cold murderer Molly Martens next to our beloved brother on the front cover of this book is obscenely insensitive and an insult to our family," they wrote. It has been confirmed that the decision on the front cover design was taken solely by the publisher. 'My Brother Jason's is already the focus of negotiations with a US publisher. A TV special on Mr Corbett's tragic death is being prepared by giant US broadcaster, NBC. Last month, it emerged Molly Martens successfully avoided having four extra years added to her murder sentence for a breach of prison rules. The former Tennessee nanny had been cited for breaching strict rules in the high security North Carolina jail where she is serving her sentence. Both Molly Martens and her father, Tom Martens, are scheduled to be released from custody in 2037. They are appealing their convictions to the North Carolina Court of Appeals.